Should a Bird's Cage Be Covered at Night? It depends on the situation. Some birds prefer to remain uncovered during bedtime, and other birds simply cannot sleep without a "security blanket". Why Should You Cover the Cage? Parrots in the wild sleep or roost in holes in trees. These holes are commonly called a nest cavity. Approximately 85 different species of birds in North America use nest cavities as well. But there has been a problem with many species of birds due to the destruction of habitat where they locate or create nest cavities. The habitats they are looking for are sometimes called snags, and they are primarily made up of decaying or dead trees. These nest cavities sometimes develop in trees from a branch that dies and falls off of the tree due to decay from within the tree. Some holes in trees have been excavated by other creatures and are abandoned for a variety of reasons. Birds will take over the abandoned nest cavity and even customize it by chewing through the decaying wood, making it larger, or they simply take up residence in an abandoned hole that seems to suit them. These nest cavities are dark and protect the bird at night as well as providing a safe place to sit on eggs and raise their young. This cavity keeps the rain off of the bird family as well as shielding them from winds. It is darker than a nest sitting out on a branch. So if you think about it, a bird's cage or enclosure is not just an environment that protects it and ensures that it doesn't get into any dangerous situations when it is left unsupervised. It is a safe place to rest, to relax, and to play and amuse itself in a safe environment. Using a cage cover at night mimics that nest cavity. It also shelters the bird from any ambient light that is in your home as well as allowing your bird to sleep without any drafts caused by air conditioning or an air purifier that you might have running. Covering your bird at night might also help prevent night frights. 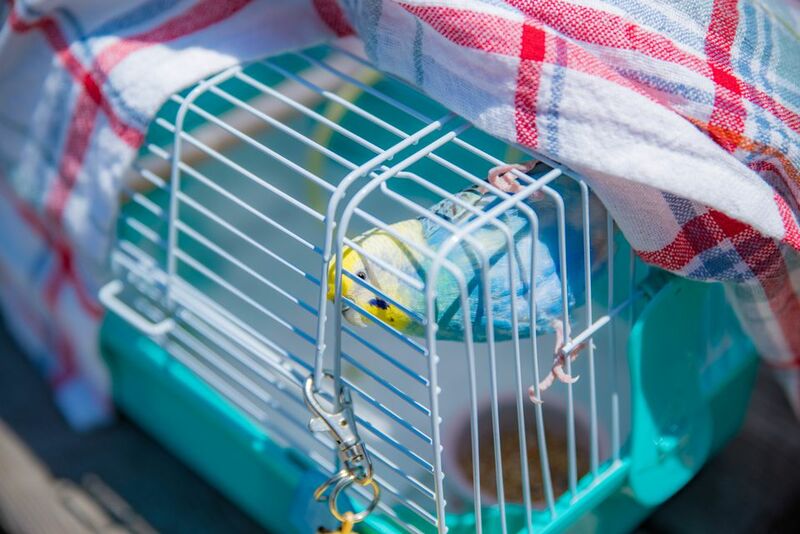 If noise and light are not a problem, try leaving your bird uncovered for a few nights to gauge its reactions. If the bird appears to like being uncovered at night, then it is acceptable to leave it that way. If, however, the bird appears sluggish or begins to exhibit signs of stress, crankiness or its behavior changes some way that is not normal, the best thing to do is keep it covered at night to ensure that it gets a good night's rest. As long as a dark, quiet and somewhat secluded area is provided for a bird to sleep in, most will be fine without being covered at night. Remember, however, that sleep is vital to a bird's well-being. If you are in doubt about your pet's reaction to being uncovered, play it safe and resume covering the cage at night. Are Round Cages Bad For Birds? Why Do Birds Hang Upside Down? What Is the Difference Between the Terms "Domestic" And "Indigenous?